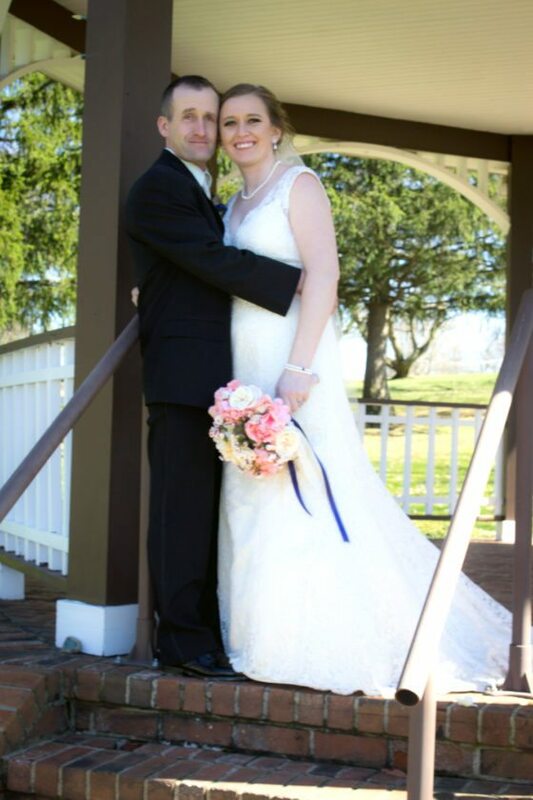 EAST PALESTINE –Samantha Nicole Steiner and Andrew Michael Johnson were wed on April 8, 2017 at Our Lady of Lourdes Catholic Church in East Palestine. The bride is the daughter of Jim and Mary Ann Steiner, East Palestine. The groom is the son of Mark and Meleny Johnson, Polk. The Rev. Christopher Ciero officiated the ceremony. 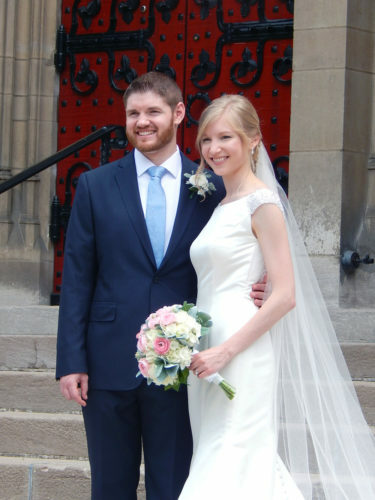 Given in marriage by her parents and escorted by her father, the bride wore a champagne gown with ivory lace overlay, complemented by a fingertip veil, made by Jodie Bock, cousin of the bride. She carried a bouquet of pink and off-white hydrangeas and off-white roses, arranged by Linda McLain, aunt of the bride. 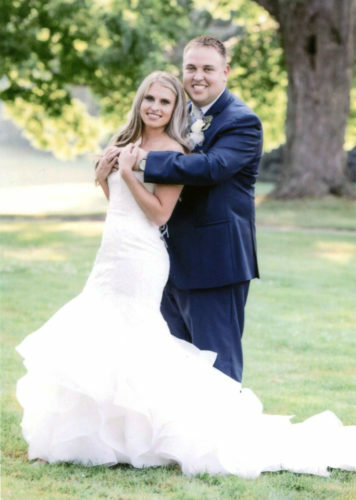 Jessica Richey, Lodi, cousin of the bride, served as maid of honor in a navy and coral chiffon and lace gown, carrying a bouquet of hydrangeas and roses. In matching gowns and bouquets were bridesmaids Katie Baughman, Elyria; Loren Wilson, Volant, Pa.; and Jill Fisher, Boardman, cousin of the bride. Nora Johnson, niece of the groom, Polk, was the flower girl. Performing the duties of best man was Jed Johnson, brother of the groom, Polk. Groomsmen were Gregg Fogle, Richwood; Ben Steiner, brother of the bride, East Palestine; and Jerrid Schultz, Prospect, Ohio, friend of the groom. Ethan Hockman, cousin of the bride, Ashland, was the ring bearer. Ceremony readings were performed by Katie Book, Leann Henry and Patty Zocolo, aunt and God mother of the bride. The rehearsal dinner was hosted by the groom’s parents at Unity Grange. 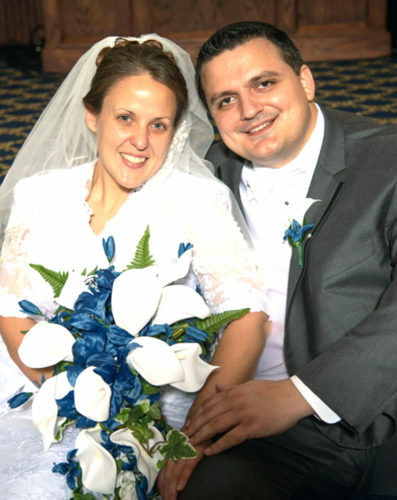 A reception, hosted by the bride’s parents, was held at St. Jude Church hall, Columbiana. 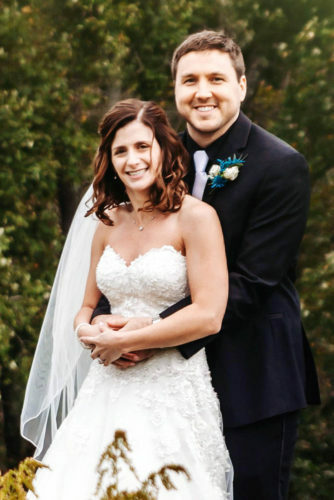 The bride is a graduate of East Palestine High School. 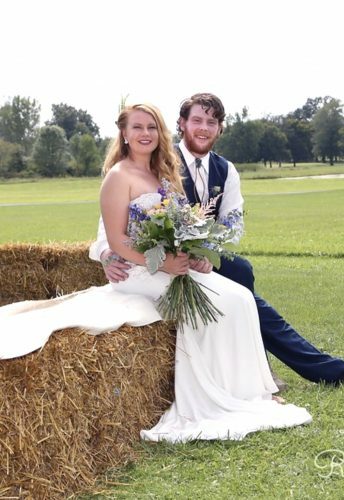 She graduated from The Ohio State University with a bachelor’s degree in animal science and is employed at Witmer’s Feed and Grain, Columbiana. The groom is a graduate of Mapleton High School, Ashland. He graduated from The Ohio State University with a bachelor’s in animal science and is employed at Crop Production Services, Polk. 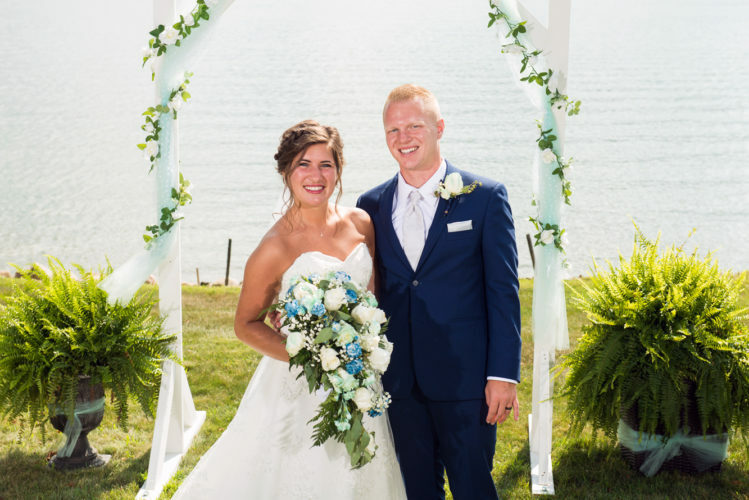 Following a honeymoon cruise to Mexico, the couple will reside in East Palestine.